Robert Frager, Ph.D., received his doctorate in social psychology from Harvard University in 1967. In 1975, he founded the Institute of Transpersonal Psychology in Palo Alto, where he is currently Professor of Psychology and Director of the Spiritual Guidance Masters Program. Before founding the Institute, Frager taught psychology and religious studies for seven years at University of California Berkeley and University of California Santa Cruz. In 1985, Frager was ordained as a sheikh, or spiritual guide, in the Sufi mystical tradition. He is now the president of the Jerrahi Order of California and has been a Sufi spiritual guide for over 25 years. 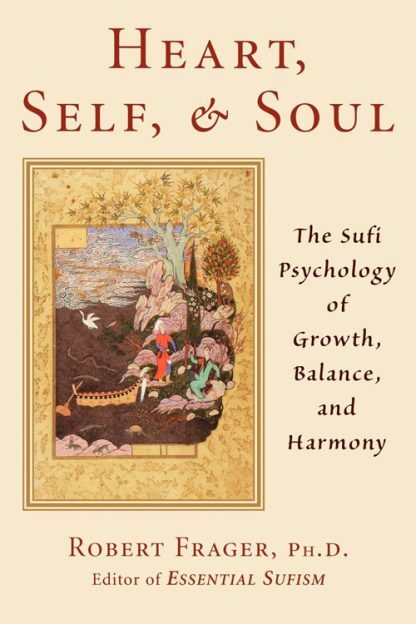 Frager has written three books on Sufism: Essential Sufism, Love is the Wine: Teachings of a Sufi Master in America and Heart, Self, and Soul: The Sufi Psychology of Growth, Balance, and Harmony. He is the editor of Sharing Sacred Stories: Current Approaches to Spiritual Direction and Guidance. A personal student of the founder of Aikido, Frager trained in the art in Japan and holds a 7th degree black belt?the highest honor ever awarded to a westerner. He has been an instructor in Aikido for over 45 years. Frager is also a transpersonal psychologist, consultant, and educator. He currently resides in Northern California.